You Are Here: Home > What is My Car Worth? Do you have a new or pre-owned Audi or Mercedes-Benz sedan, crossover, or SUV in mind? Great! You can reduce your payments by trading in your current vehicle with our Audi & Mercedes-Benz dealership in Sylvania, OH. You can get an approximate value for your trade-in with the team at Vin Devers Autohaus through our online trade evaluation tool. Give us some basic information on your current car, crossover, or SUV, and one of our trade-in experts will give you a price range you can expect for your vehicle depending on its precise condition at the time of appraisal. Our team wants to see you get a fair value for your car, truck, or SUV and we offer several advantages over selling privately or using a chain pre-owned vehicle center. Zillow and Trulia are great resources to give you an idea of what your house is worth. They take into account the prices paid for similar houses in similar neighborhoods. Kelley Blue Book, NADA’s Black Book, and even Carfax can give you a good idea of what your car is worth. They also take into account the prices paid for similar vehicles with similar miles. But your vehicle will likely have more or fewer miles on it than other cars in the sample. Your vehicle may have equipment like navigation or larger wheels that other cars don’t have. And those other cars may have been in an accident or poorly maintained. So, while market research can put you in the ballpark for your vehicle’s value – its exact value is still going to come down to what someone is willing to pay you for it. Why would Vin Devers pay you the most for your car? #1 – We only want the best used car inventory to sell, and we’re willing to pay the most to make sure we have it. Our customers have the highest expectations, so to earn their business our cars must be the finest examples in the marketplace today. Our philosophy is that there are always buyers for the BEST used cars – so we strive to make sure our inventory is loaded with them, and that usually means offering sellers more than other dealers are willing to provide. #2 – Shipping cars is expensive. We could send our product specialists to used car auctions all over the country to find used car inventory, but it costs us time and money to travel to the auction and even more money to ship the cars back to the dealership. We’d much rather pay more for great local inventory that we don’t have to ship. #3– We complete all our reconditioning work here at the dealership. The same factory-trained technicians who work at our Audi & Mercedes-Benz dealership also complete a rigorous inspection on every car before we offer them for sale – often replacing brake pads, tires, and fluids to get them in the best condition possible. Since we do all the work in-house it saves us money – allowing us a little extra money to use in acquiring vehicles. Are you ready to get the most for your trade-in? 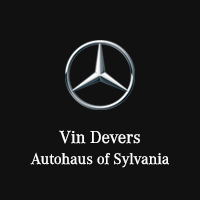 Fill out our online form to get started on the path to get more for your trade-in at Vin Devers Autohaus in Sylvania, OH. Do you have questions about the trade-in process or want to speak with a product specialist before getting a value for your trade-in? Reach out to the team at our Audi & Mercedes-Benz dealership in Sylvania, OH through our website or by phone at 888-847-9535 to have questions answered by one of our trained professionals.